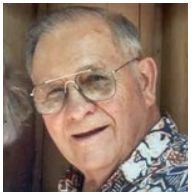 Ray Zakariasen, 94, of Cambridge passed away on Wednesday, September 24, 2014 at his home in Riverwood Village. He was born September 18, 1920 in Bay Lake, MN, the 5th child of Louis and Cora Zakariasen who had 12 children. The family moved about in MN and Michigan and finally settled in Excelsior where he graduated from High School in 1941. He spent one yr. at St. Cloud College where he met Shirley Fjeldheim. He Joined the Coast Guard in July 1942 during World War II and was a Buoy Tender serving in CA and Hawaii. While on leave on August 31, 1945 Ray and Shirley were married in the Cambridge Lutheran Church. After the war Ray finished college and taught in Olivia MN for 3 years and at Central Jr. High in St. Louis Park for 30 years. While there, Ray was head of the Industrial Arts Dept., originated the print shop, guided Print Club and did most of the printing for the school system during those years. Several of his students went into the graphic arts industry because of his influence. Ray and Shirley were blessed with four children. Nancy (Joe) Carlson of Fairbanks AK, Dave (Barb) Zakariasen of Grand Rapids, MN Dawn (Joel) Hohmann of Stanchfield, MN and Paul (Shelly) Zakariasen of Stanchfield, MN. They have 32 grandchildren, 69 great-grandchildren and 5 great-great grandchildren. Both Ray and Shirley have said how incredibly grateful they are for their children, their very special mates, and each person in each generation. Over the years they also had the privilege of being active in two very special churches. St. Louis Park Evangelical Free Church where they raised their children and Ray enjoyed working with the Brigade, on the Missions boards, and as a Trustee. He was always encouraged to consult, read, study, and adhere to the message of the Bible. They had so many friends who exemplified Christian living and serving the Lord. He was also active with the YMCA and was a National Ski Patrol. In their later years they enjoyed the fellowship and encouragement of reading and studying the Bible with their dear friends at Wyanette Free Church. Ray and Shirley in their 69 years together have been very thankful for the Zakariasen and Fjeldheim families who have blessed them throughout their whole lives. Ray was also very adventurous. It was Ray’s idea to camp, start downhill skiing, and traveling in the summer to visit every state in the US, including Alaska and into Canada. In their retirement years they were part of many short term missions projects that led them to England, Venezuela, and Belgium. Ray loved working on woodworking projects his whole life. His major jobs were remodeling his homes, the cabin at Fishtrap, making rocking horses for his grandchildren, step stools, clocks and back scratches with the message of the Peace we have in knowing Jesus. Ray and Shirley were so grateful to the Lord Jesus for their life together and the many blessings they both experienced through their churches, their families, and their friends. Ray was a loving husband, father, grandfather and friend, and we will miss him dearly.